Friends of CSIRO will be holding a meeting to set up Friends of CSIRO group in Canberra, followed by a free film screening. We would love to see you there - All welcome. 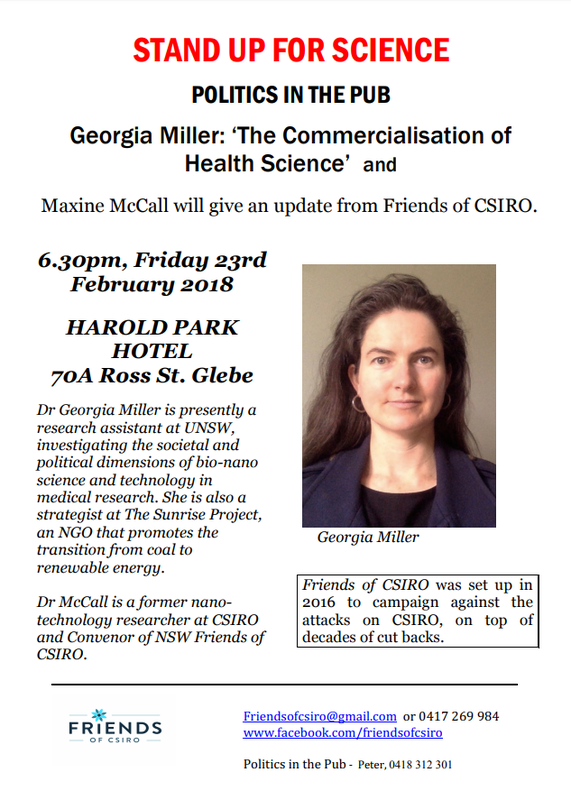 Friends of CSIRO will be holding a meeting to set up Friends of CSIRO group in Sydney, followed by a free film screening. Friends of CSIRO hosted a very successful forum in Brisbane to discuss: The impacts of the CSIRO cuts on Australia's research capacity, and to outline our campaign strategy in the upcoming election. A number of fantastic speakers spoke about the importance of CSIRO and public good research, we heard the politicians in attendance outline their positions regarding the proposed CSIRO job cuts. During this event, the Brisbane division for Friends of CSIRO was established. An altogether successful and enjoyable evening with a whole new bunch of passionate Friends of CSIRO. Friends of CSIRO hosted a very successful forum in Queanbeyan, in the marginal seat of Eden Monaro to discuss: The impacts of the CSIRO cuts on Australia's research capacity, and to outline our campaign strategy for the federal election campaign. The venue was packed, and the event resulted in an article in the Canberra Times, quoting Professor Penny Sackett, a former Australian chief scientist, who has stated that the government has a "national and international responsibility" to reverse funding cuts to the CSIRO. See our resources page for the article. Friends of CSIRO hosted a very successful forum in Sydeny to discuss: The impacts of the CSIRO cuts on Australia's research capacity, and to outline our campaign strategy in the upcoming election. Friends of CSIRO hosted a very successful forum in Melbourne on the 12 June. 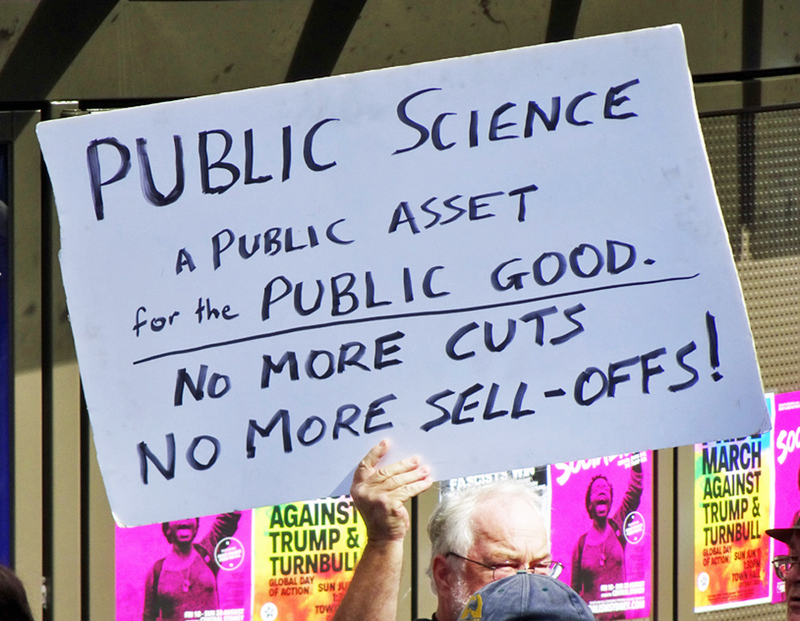 The ALP and the Greens announced their election policies for science and research and we heard from a number of fantastic speakers about the importance of CSIRO and more broadly the continued funding of public good research. We went out for a drink afterwards to a lovely local bar in the CBD, and we even managed to squeeze in a few hugs for Hug-a-Climate-Scientist week! Friends of CSIRO hosted a very successful forum in Hobart on the 24th of May. Several news articles resulted and lots of interest was generated in keeping this issue in the spotlight. Some pictures from the event can be seen below. If you would like to have a look at the news articles from the forum, please go to the Resources page. 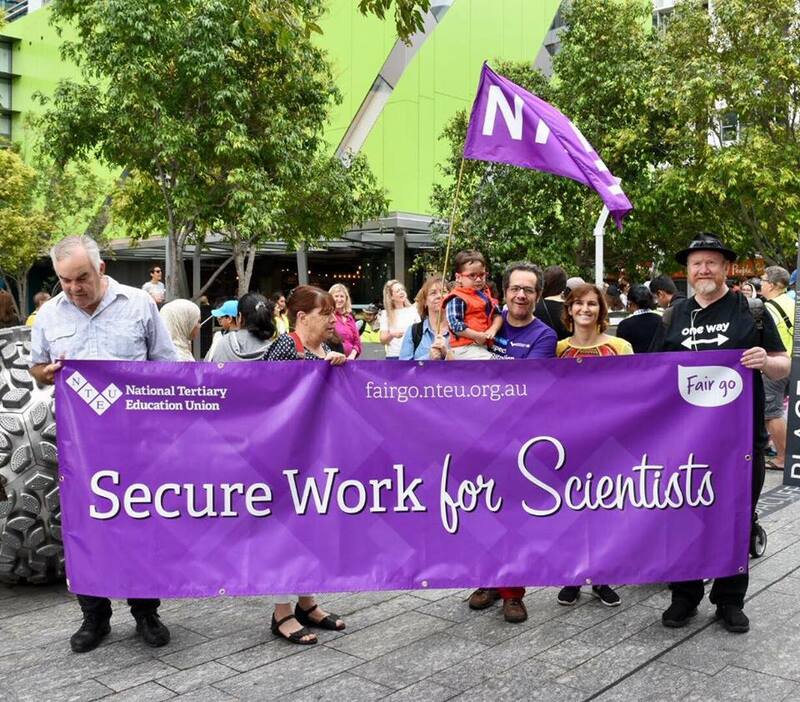 Friends of CSIRO held a number of leafleting events around the country, letting voters know the position that the various political parties had takenin relation to the proposed CSIRO job cuts in the lead up t o the 2016 federal election. If you would like to get involved with future actions and events, please get in touch with your local Friends of CSIRO branch, contact us via our sign up page or on facebook. In the ACT region, Friends of CSIRO were leafletting in the Queanbeyan shopping centre, in the very marginal electorate of Eden Monaro. 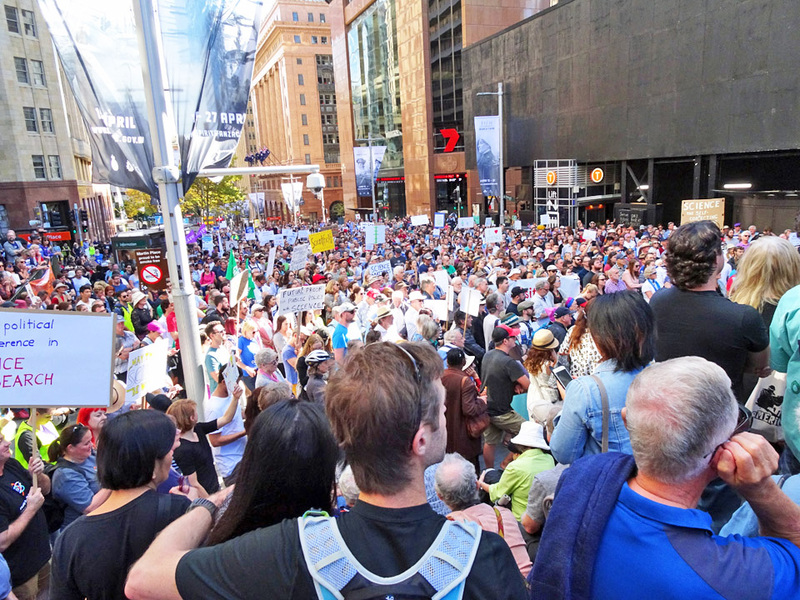 Leafletting events were also held in Brisbane and in the city of Melbourne at Southern Cross Station, and in the marginal seat of Corangamite. Friends of CSIRO had a great time leafleting with our friends from the AYCC, 350.org, and the CPSU. 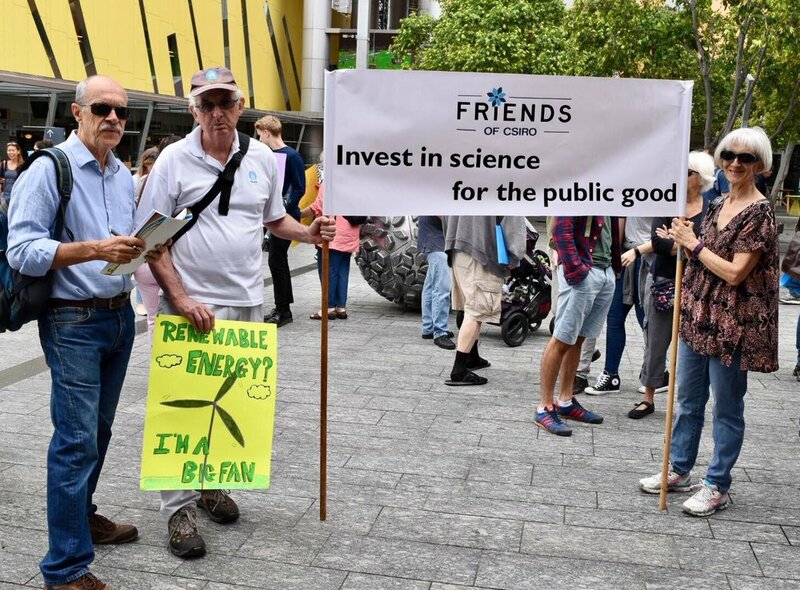 Friends of CSIRO hold regular branch meetings, so if you would like to get involved with the campaign, please sign up to our mailing list and and let us know you want to volunteer. We hope you will be able to join us as we grow this campaign to save CSIRO jobs and see more investment in public good research.